The Guild Custom Shop presents the beautifully crafted and rich-sounding Orpheum series “Slope 12” dreadnought acoustic. 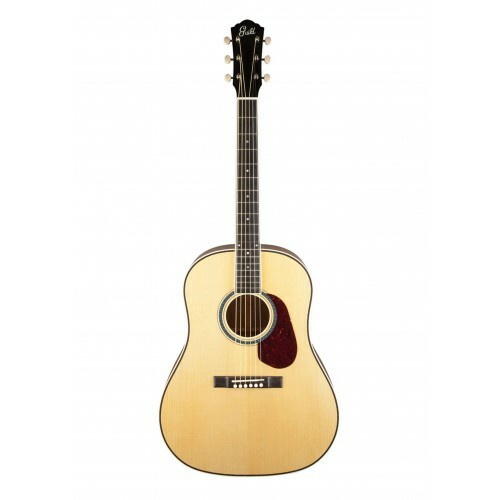 U.S.-built by the talented luthiers of the Guild Custom Shop, Orpheum series models are designed to stylishly evoke the bygone 1930s-era golden age of U.S. acoustic guitar design and construction. 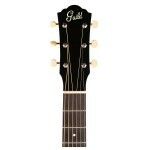 Indeed, you could say that Orpheum models are finely crafted Guild guitars that never were but could have been. 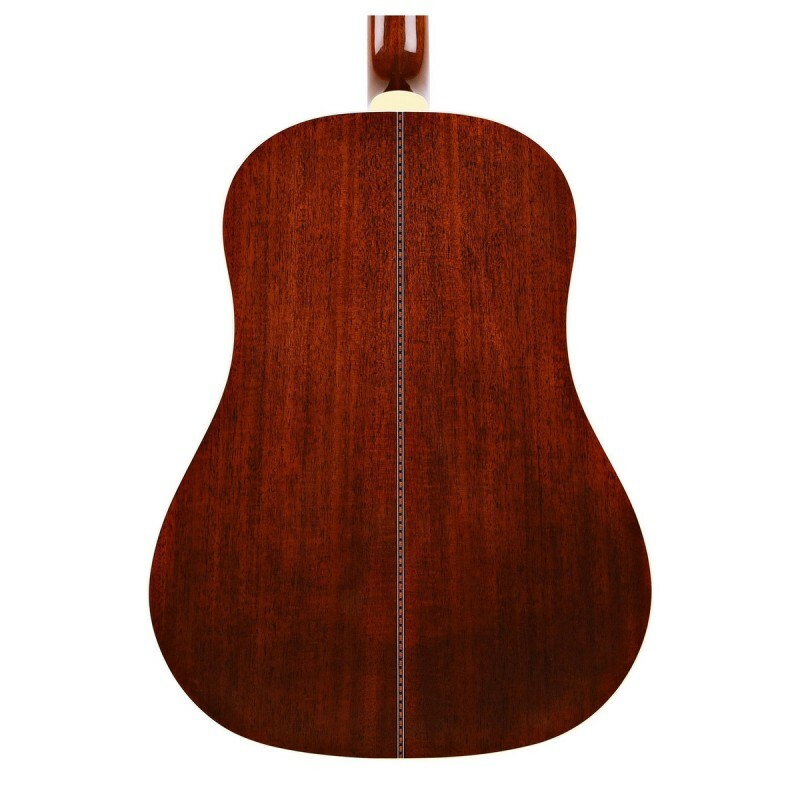 The Slope 12 offers a distinctive difference for the discerning player—sloping shoulders that gracefully curve away from the neck in marked contrast to conventional straight-shoulder dreadnought design. Further, its three-piece mahogany/rosewood/mahogany neck joins the body at the 12th fret, contributing to an abundantly complex yet warm and balanced tone that makes it ideal for flat picking and finger-style playing. 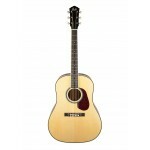 Premium features also include an Adirondack red spruce top with scalloped red spruce bracing, solid mahogany back and sides, traditional hot hide-glue construction, soft-“V” neck profile, 20-fret ebony fingerboard with pearl dot inlays and 12″ radius, bone nut, elegant cream body binding, and a nitrocellulose lacquer neck finish. 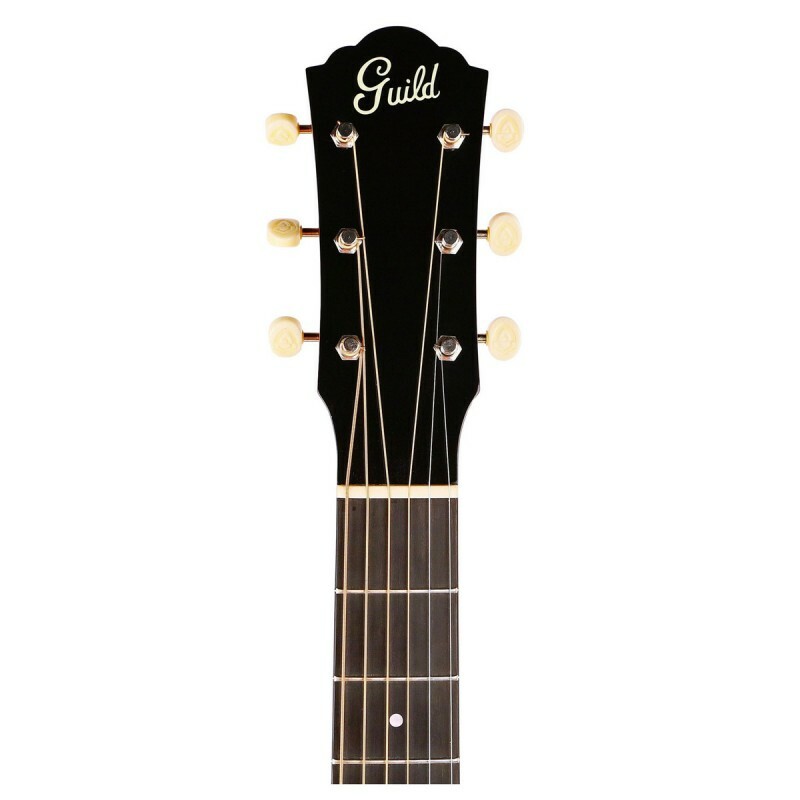 Other features include a tortoiseshell pickguard, pyramid-style ebony bridge with bone saddle and pins, Guild-logo Gotoh SE-700 open-back tuners with cream buttons, and deluxe hard-shell case.